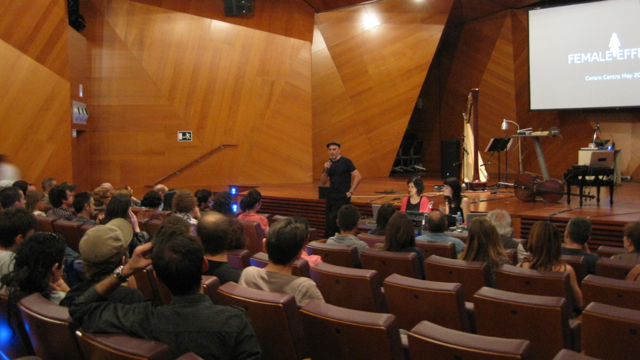 LA CREACIÓN SONORA EN LA META-CIUDAD. 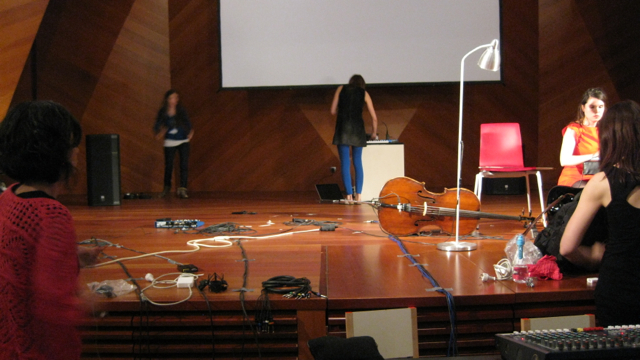 SOUND CREATION IN THE META-CITY. 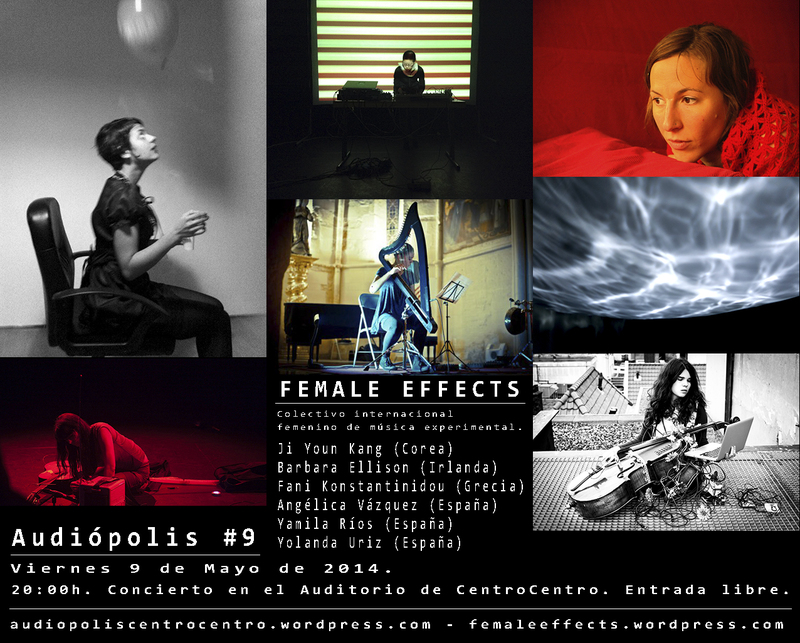 FEMALE EFFECTS concert at 8:00 pm in the AUDITORIUM of CentroCentro. 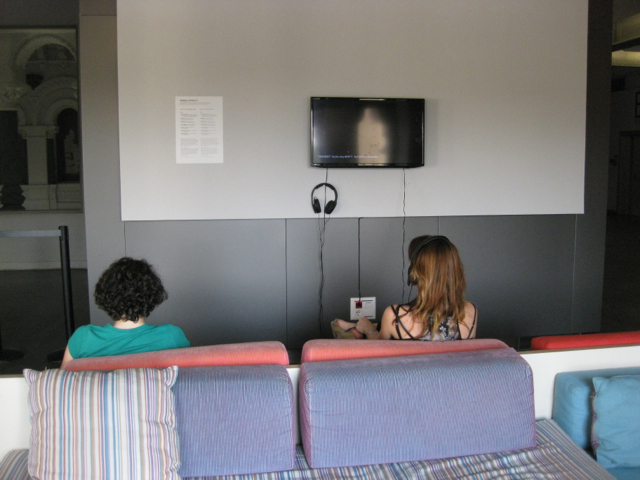 On the same day, from 6:00 pm you can visit the sound installation situated on the 5th floor of CentroCentro. 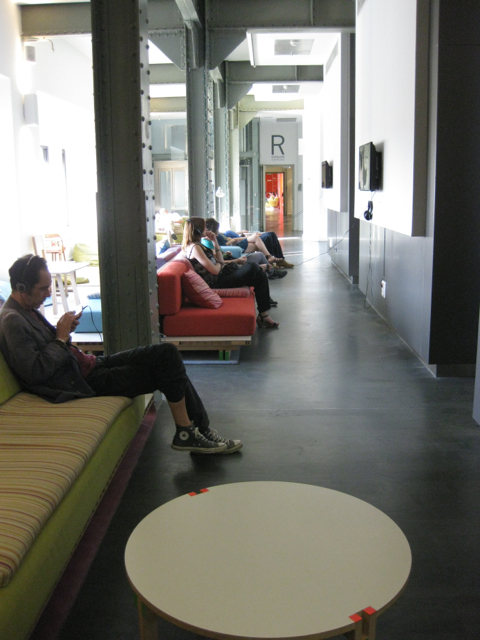 The exhibition will remain until the 6th of July. 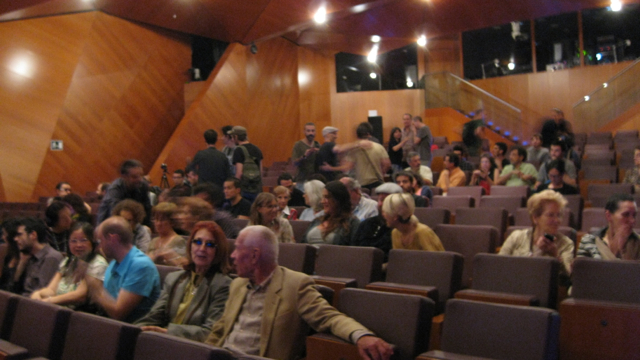 Access to the exhibition and the concert, for free. 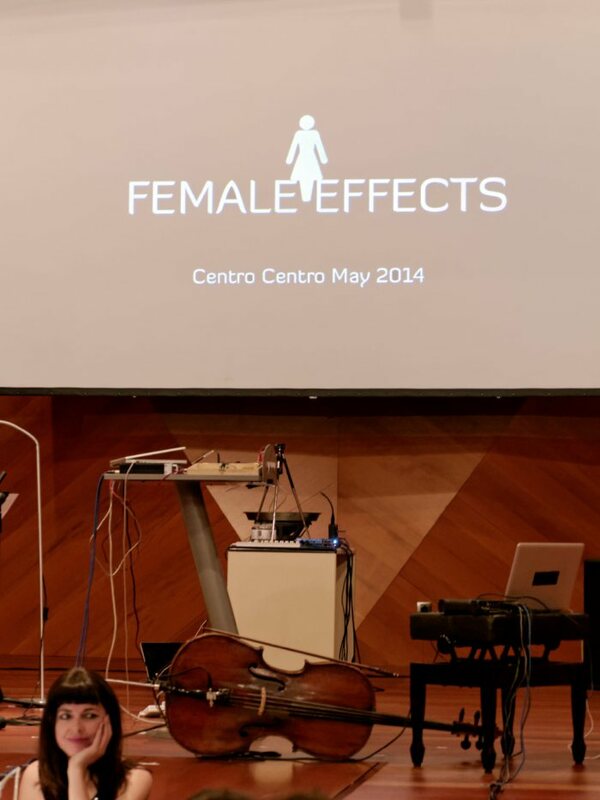 Female Effects is a project consisting of new pieces for acoustic instruments and electronics, composed by female composers and curated by Blanca Alvarez and the harpist/performer Angélica Vázquez. 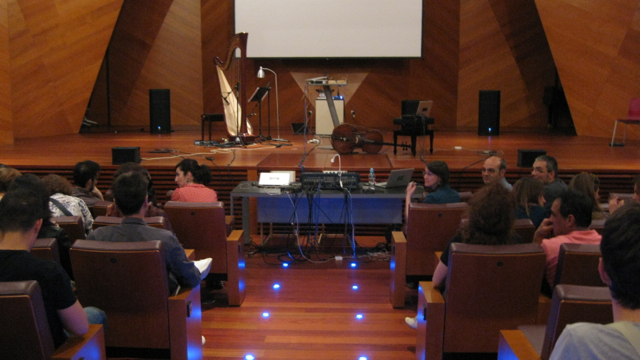 The composers are called to explore and observe the possibilities of different acoustic instruments (voice, violoncello, harp, flute or percussion), in order to develop applications for live-electronic music, using extended techniques, as an expansion of the instruments. 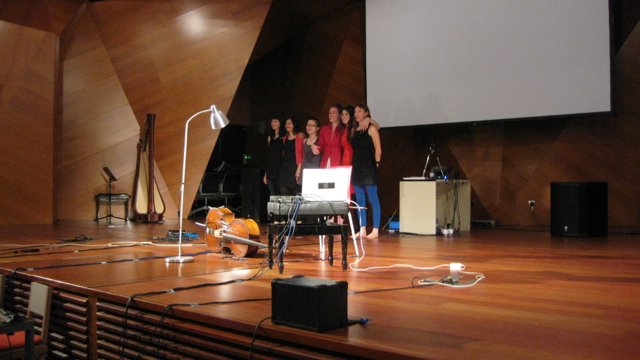 The goal of these compositions is to explore new and creative ways of using acoustic instruments in contemporary music. 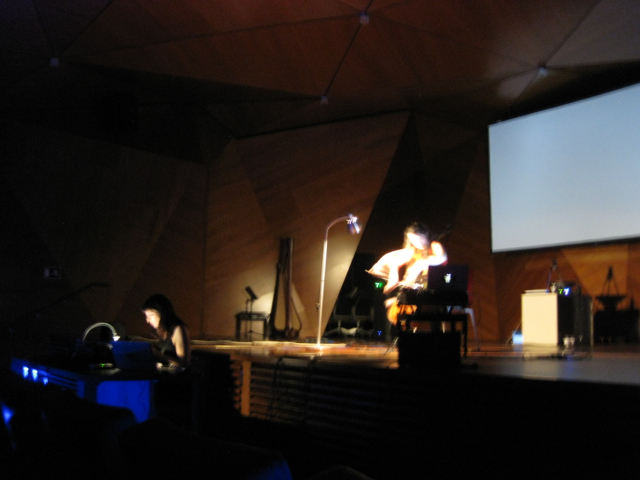 The pieces are based on an exchange of ideas between the performer and the composer that result in a collaborative and creative process between them. 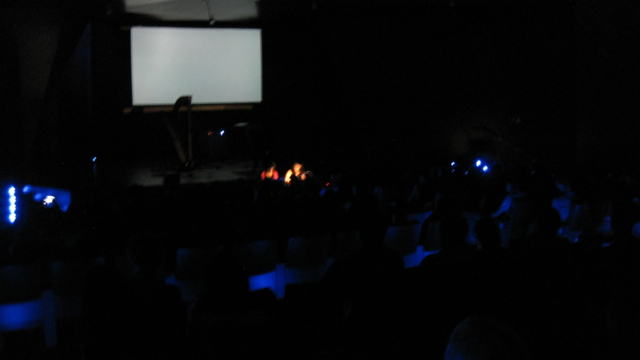 The sound produced by the performer, is often controlled and modified electronically by the composer in real time. 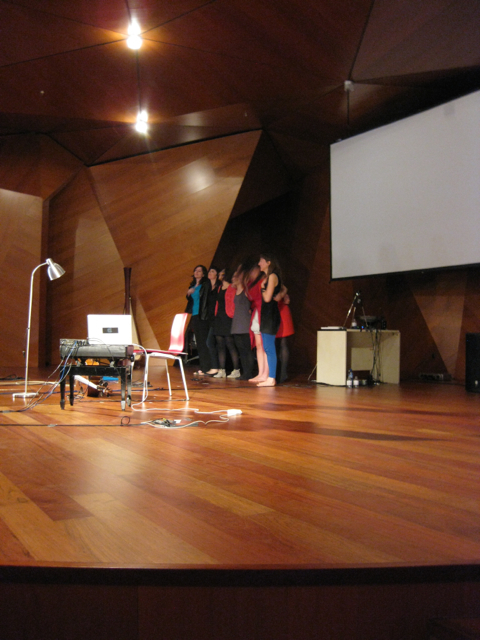 Therefore, the performances are characterized by a constant interaction between composer-performer and their roles are blurred. 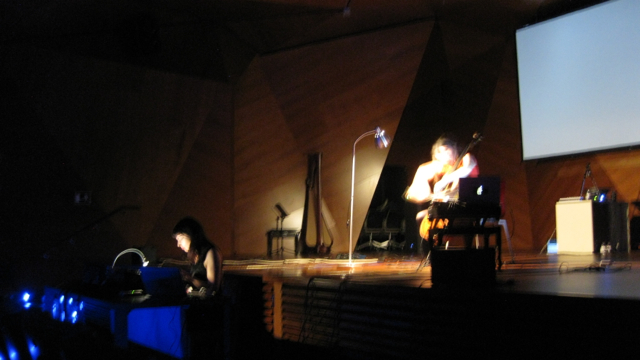 The composer is called to perform, and the performer is equally contributing in the compositional process. 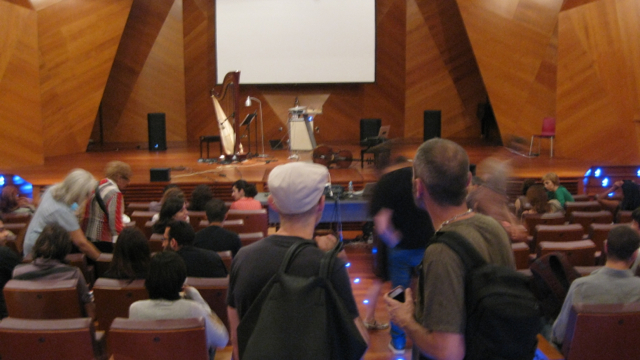 To achieve that, different strategies have been used including improvisation and music composition techniques. 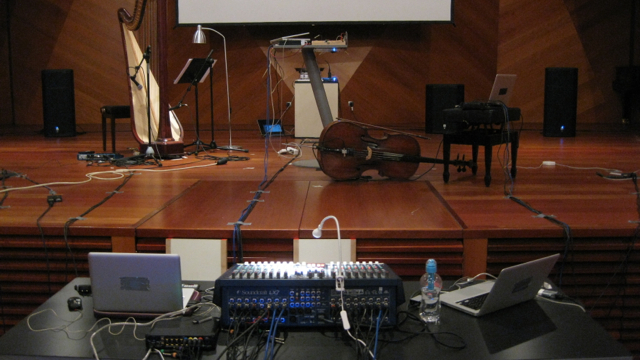 Traditionally opposed sounds, such as acoustic-electric and digital-analog, are blended together and formulate a continuity. 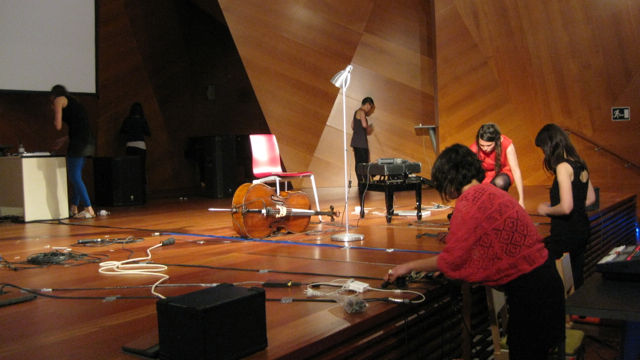 The acoustic sounds are captured by microphones and processed in different ways, in order to change their physical dimensions. 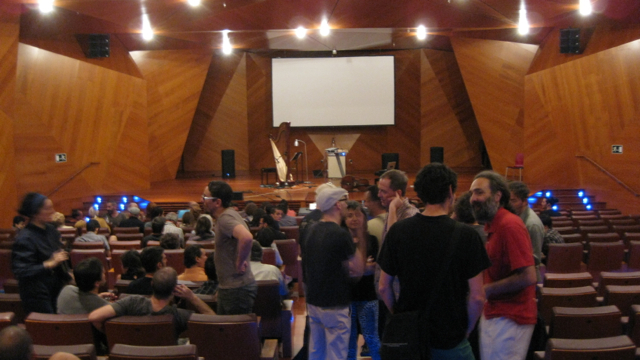 Dynamics, pitch, timbre, duration and any possible sound element play a significant role in the final composition and develop a strong impact between the instrument and the computer generated sounds. 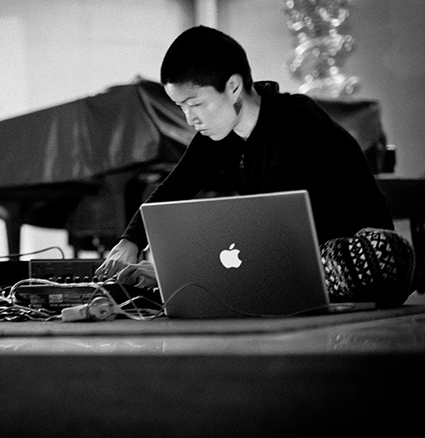 Ji Youn Kang (KR, 1977) is a freelance composer, performer, and sound artist based in The Hague, The Netherlands. 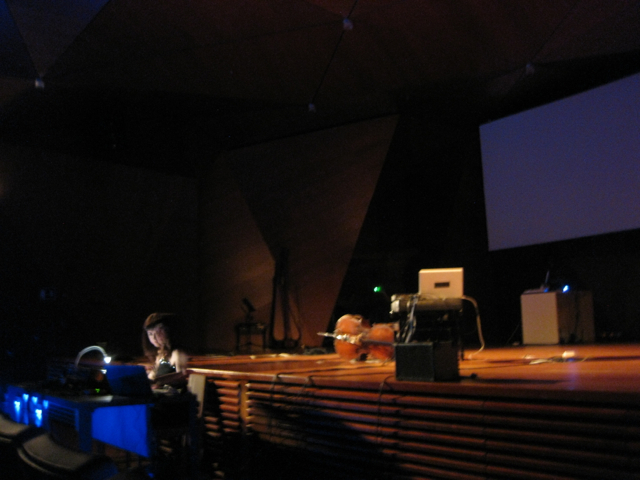 She achieved her Masters’ degree both in Sonology at The Royal Conservatorium and in Composition at Conservatorium van Amsterdam. 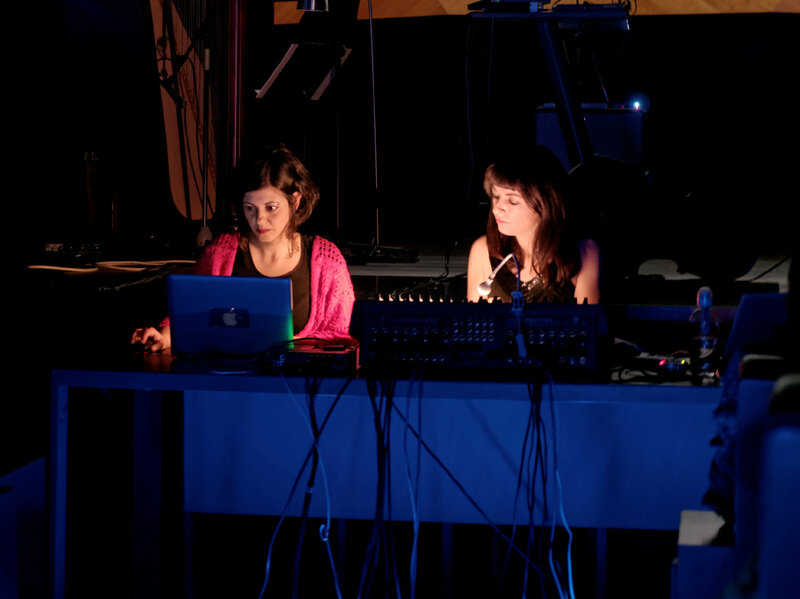 Her objectives and interests revolve around the creation of her own musical language that (re)presents the Korean tradition and cultural elements using materials from Korean music as well as newly created sounds, and she has been composing/performing Live Electronic music for both traditional and non-traditional instruments, combining analog and digital sounds together, exploring mostly the primitive, empowering rhythmical elements and the noisy sound sources that the Korean ritual music involves. 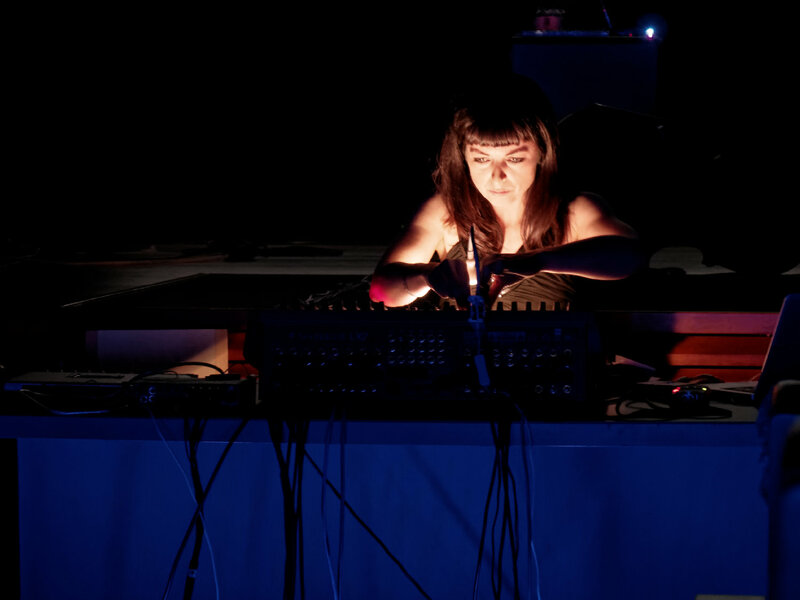 Her pieces have been performed in many different venues and festivals such as La Biennale di Venezia(IT), Gaudeamus Muziekweek(NL), Sonic Acts(NL), STRP(NL), SICMF(KR), Sonar(ES), Synthèse(FR), TodaysArts(NL), MISO(PT), and Festival de Música(ES). 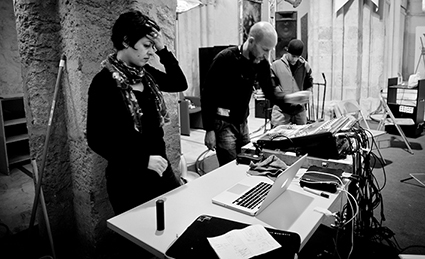 Barbara Ellison (Ireland) is a sound and visual artist living and working in The Hague in The Netherlands. Her recent work explores perceptual ambiguity and our propensity and desire as humans to find meaningful patterns in our environment even when none exist. 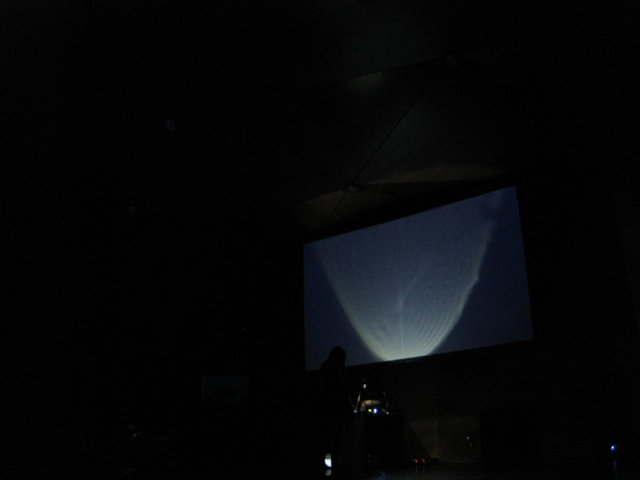 Her performances often play with ritualistic forms giving rise to sonic structures emerging through a hypnotic repetitious exploration of simple sound-producing actions. 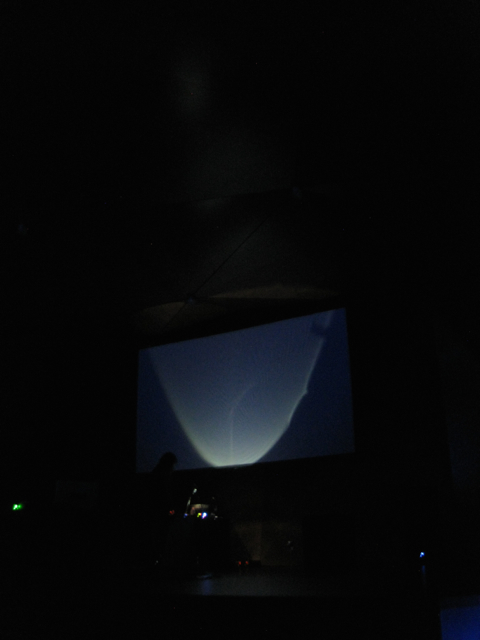 She explores the world of the ‘in-between’ or liminal states which play with ambiguous figure/ground relationships to produce emergent and sometimes illusory sonic patterns. 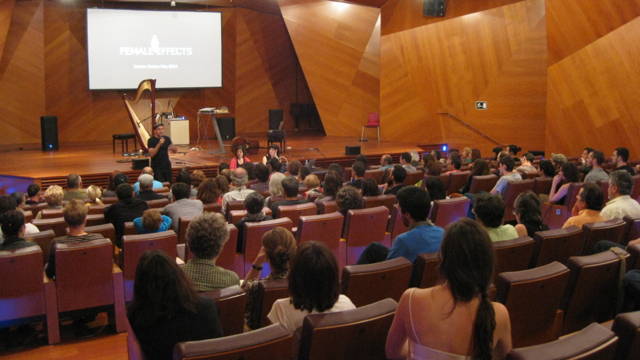 Her projects manifest in diverse and often unexpected media and platforms involving long intense working periods of practical and theoretical research. Her work has brought her in recent years to Baffin Island, Nunavut, Arctic (2010), Amazon, Brazil (2011), Svaneti, Georgia ( 2012), Danum Valley rainforest in Borneo (2012), Cardamom rainforest, Cambodia (2013), Mmabolela, South Africa (2013), Iceland and Australia ( 2013). 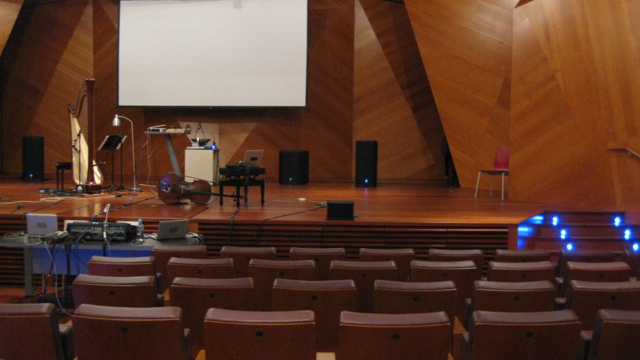 She teaches at the Royal Conservatory of The Hague and is also currently undertaking a PhD at the University of Huddersfield (UK). 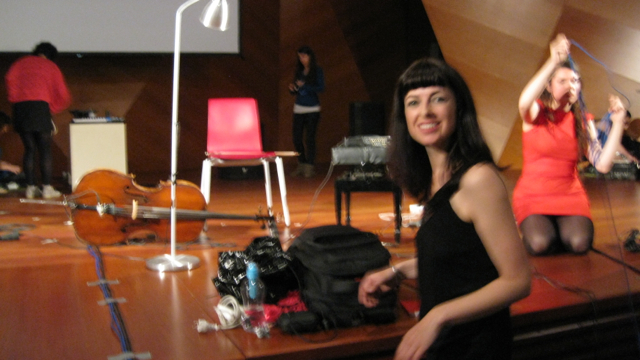 Her work has been performed and exhibited in Ireland, The Netherlands, Germany, France, Spain, Belgium, Iceland, Brazil, Georgia, Italy, Australia, UK and the United States. 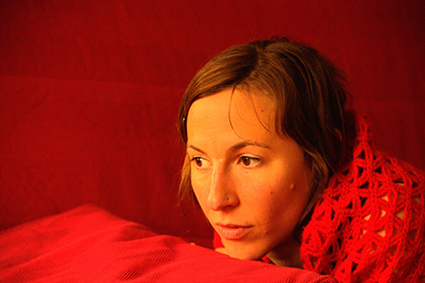 She is a core artist of the improvising performance art collective “Trickster” (Rotterdam). 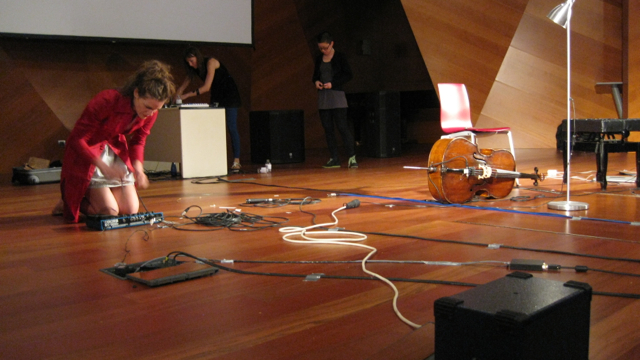 Fani Konstantinidou (Greece, 1980) is an Amsterdam based composer / sound artist and PhD candidate at the musicology department of the University of Amsterdam. 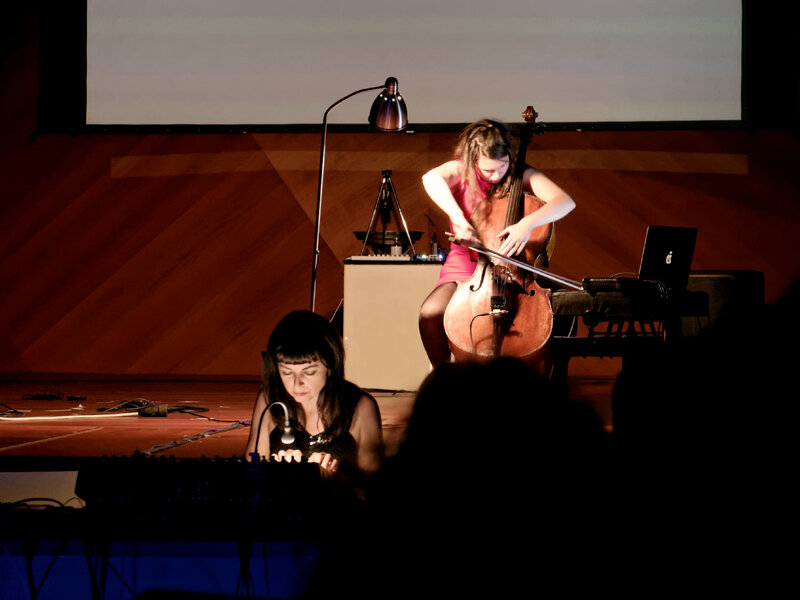 Through her music she explores the power of space and time on each individual sound, especially as compositional tools that affect listener’s perception. 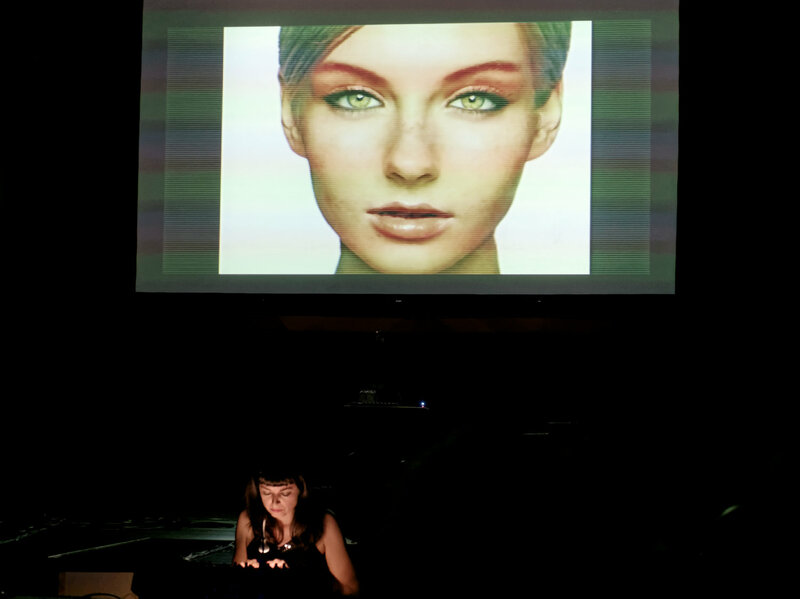 She has a particular interest in the combination of computer- generated sounds with physical sound sources. 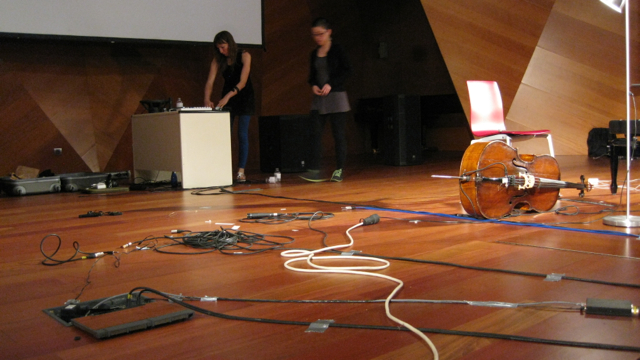 This year, she examines the possibilities of Greek traditional instruments in contemporary music emphasizing their integration with (live or not) electronics. 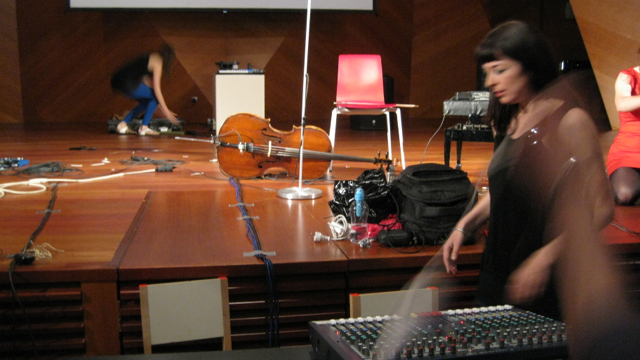 Her research focuses on conceptual composition, sonic images and the perception / imagination of the listener in electro-acoustic music. Currently, she is expanding this subject by investigating how the cultural, social and individual differences of the audience can affect the listening process. 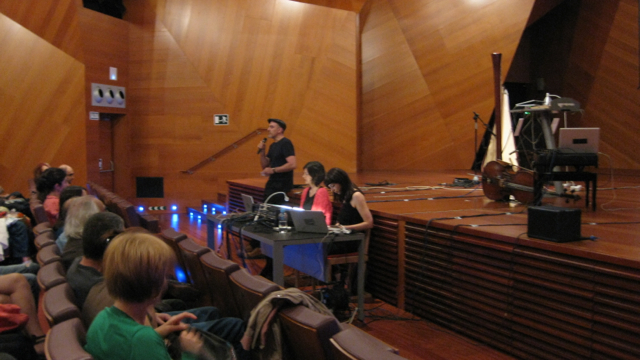 Among others, she aims to use the results of her research for educational practices of contemporary music. 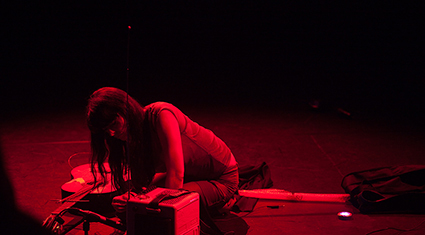 Yamila Ríos is a Spanish composer, performer and sound artist based in The Netherlands. 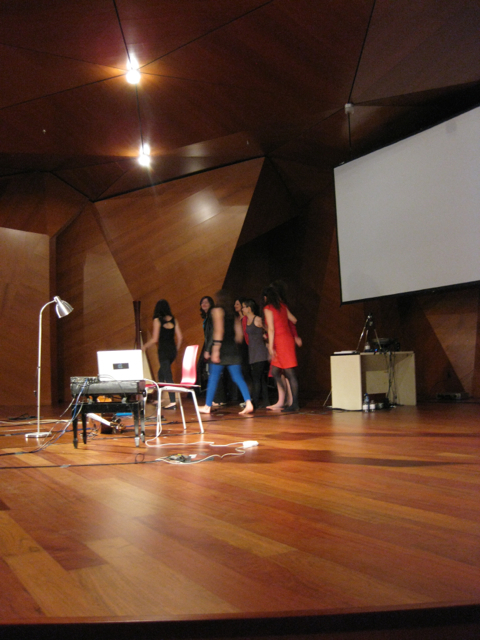 Her artistic practice deals with the creation of aural spaces. 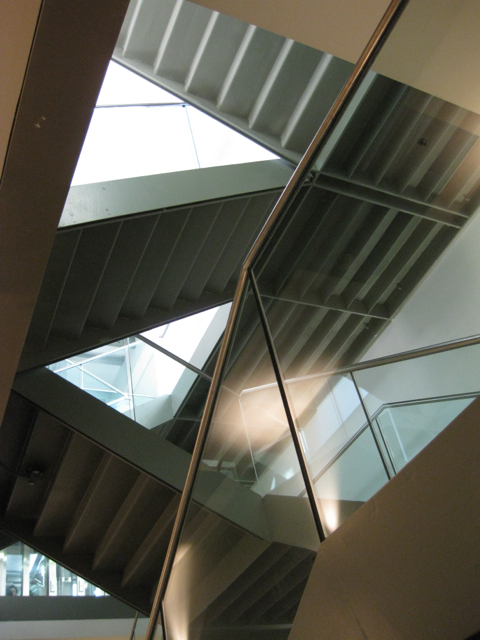 These ephemeral spaces are neither fixed nor constant, allowing them to unfold and change in time. 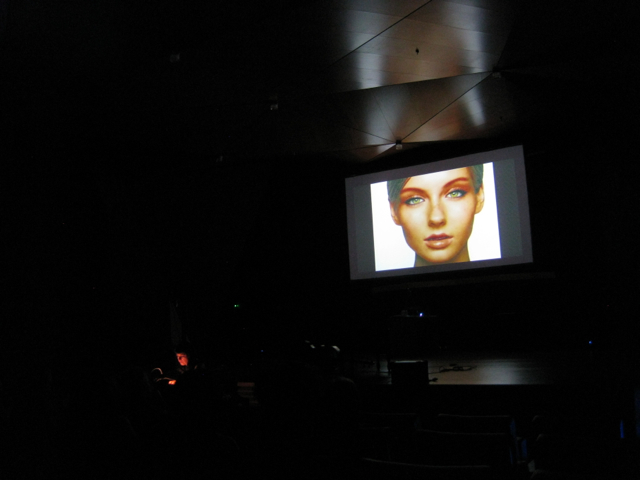 Since time is a necessary parameter to explore space, her compositions focus on each aspect, time and space. 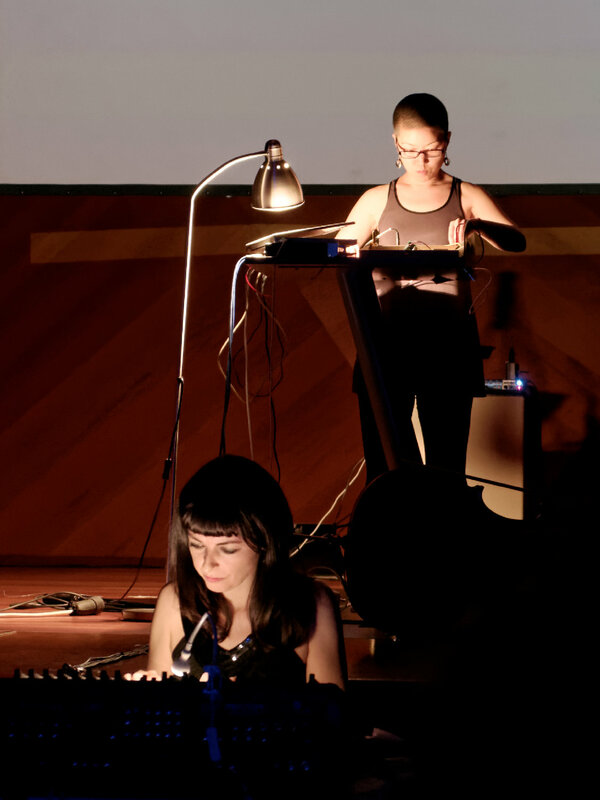 She has worked on various projects and pieces, exploring the use of live electronics mixed with the sonic exploration of traditional instruments. 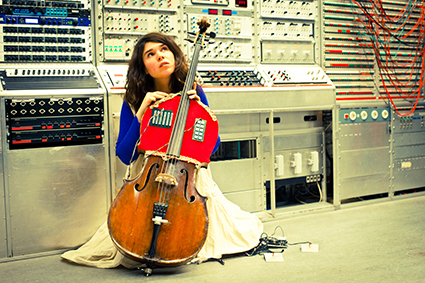 As a performer, she has developed an extension of her cello by attaching different sensors to the body of the instrument. 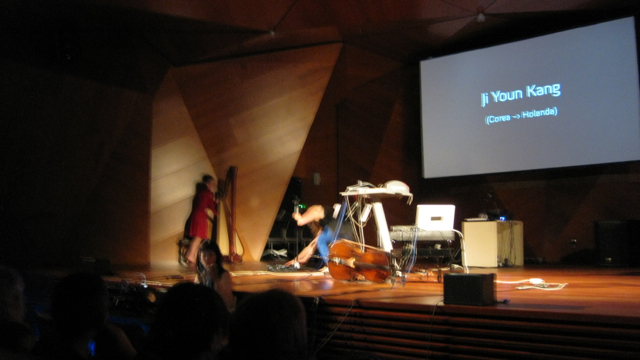 Yamila holds a Bachelors and a Masters in Sonology form the Royal Conservatory of The Hague. 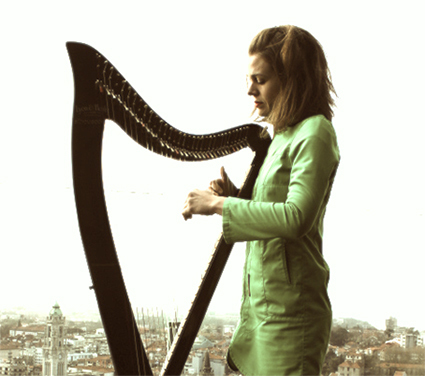 Angélica Vázquez Salvi is a Spanish harp player based in Porto, Portugal. 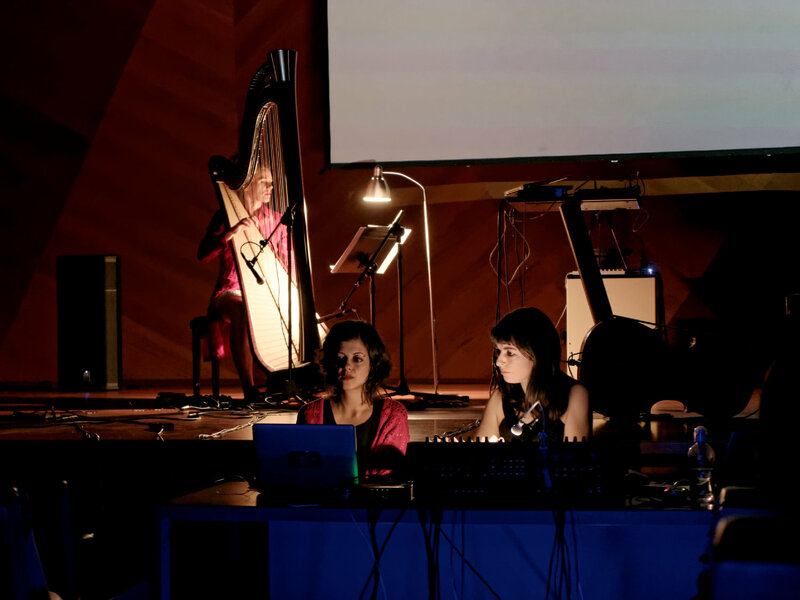 She finished her studies of classical harp at the Royal Conservatory of Music of Madrid, studied Jazz in Arizona (US) and holds two music Masters from The Royal Conservatory of The Hague ( The Netherlands) focused on contemporary and experimental music. 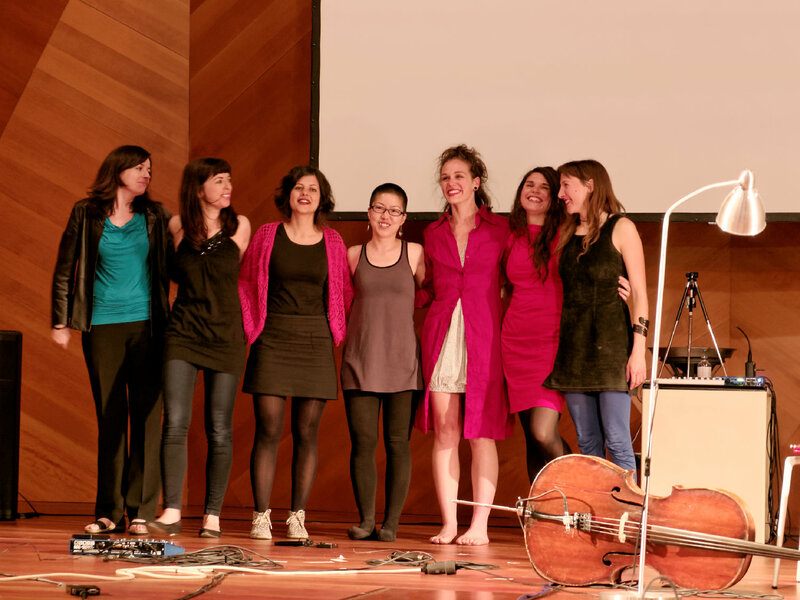 Nowadays she collaborates with different Symphony Orchestras, contemporary music ensembles and improvisation bands. 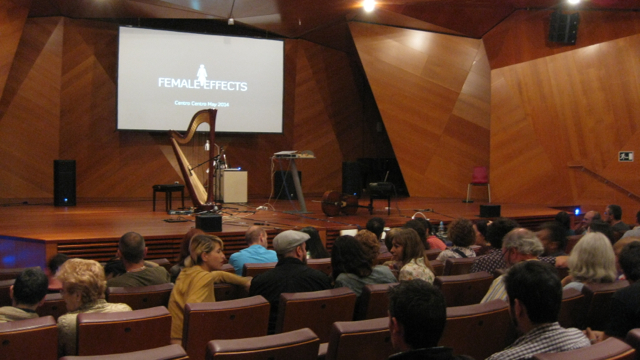 She is currently Professor of Harp at the Conservatory of Porto and director of the Project Female Effects. Photos Luis F. Roncero in http://sumergidas.org/2014/05/12/female-effects/. the clothes in case you don’t make agitator apart and clean against each other. to turn the machine off or on. 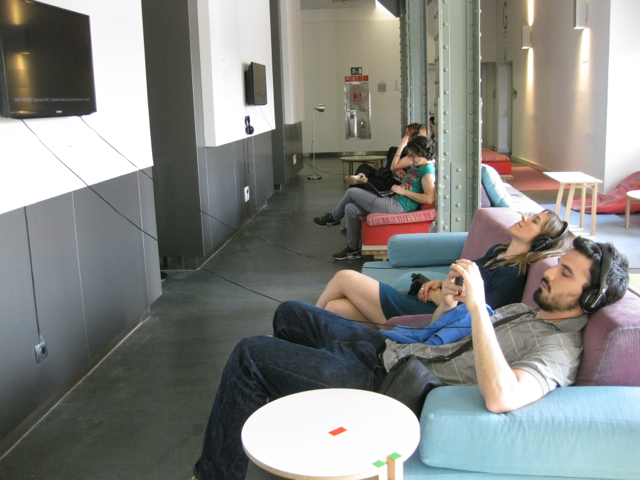 Mar - Dom: 10.00 - 20.00 h.
Tue - Sun: 10 am - 8 pm.